WEDNESDAY, July 18, 2018 (HealthDay News) -- An FDA-approved supplement reduces episodes of severe pain in people with sickle cell disease, a new clinical trial shows. Endari, a medicine-grade version of the dietary supplement L-glutamine, reduced sickle cell patients' number of acute pain crises by 25 percent compared with a placebo, the researchers found. In addition, the supplement reduced hospitalizations by one-third. "People who were on glutamine did a lot better than those patients who were on placebo in frequency of pain crises, frequency of hospitalization and duration of hospitalization," said lead researcher Dr. Yutaka Niihara. He is chairman and CEO of Emmaus Life Sciences, the maker of Endari. Doctors now have two medications to treat sickle cell disease, an inherited disorder that causes the body to produce abnormal red blood cells, said Dr. Caterina Minniti, director of the Sickle Cell Center for Adults at Montefiore Medical Center in New York City. Minniti said Endari likely will be used alongside hydroxyurea, which for decades has been the only medicine available to treat sickle cell disease. "The data shows an improvement in symptoms as far as pain, but the improvement is modest," Minniti said of the Endari trial. "In that sense, it's not revolutionary. It's additive." Sickle cell disease affects about 100,000 people in the United States, most commonly African Americans, according to the U.S. Centers for Disease Control and Prevention. Red blood cells affected by sickle cell disease are rigid and sticky, bent into shapes that resemble sickles or crescent moons. They break apart easily and die, causing anemia, according to the Mayo Clinic. Acute pain crises are a major complication of sickle cell disease that often land patients in the hospital. The U.S. National Institutes of Health says that these events occur when sickle cells clump together in small blood vessels, blocking blood flow and decreasing oxygen delivery to specific parts of the body. Niihara said that he and his colleagues suspected that L-glutamine, an amino acid, might help ward off these crises by neutralizing oxidative stress in sickle red blood cells, allowing them to return to their normal shape. "The first patients I treated, their condition improved so much that people who used to be hospitalized every week to two weeks, they didn't have to be hospitalized for a whole three months," Niihara said. For the new clinical trial, 230 patients were randomly assigned to receive either L-glutamine or a placebo in a 2-to-1 ratio. People did better taking L-glutamine, either alone or with hydroxyurea, the investigators found. "People on hydroxyurea and glutamine did better than people on hydroxyurea alone," Niihara said. "We concluded that glutamine must have an additive effect on hydroxyurea." The U.S. Food and Drug Administration approved Endari last year for treatment of sickle cell disease, and earlier this year the U.S. Centers for Medicare and Medicaid Services agreed to cover the drug. Private insurance companies have followed suit and also are starting to cover Endari, which is pricey, Minniti said. A year's worth of Endari costs about $40,515, compared with about $1,700 for hydroxyurea. "Insurance most often covers it because the cost-effectiveness is there," Minniti said. 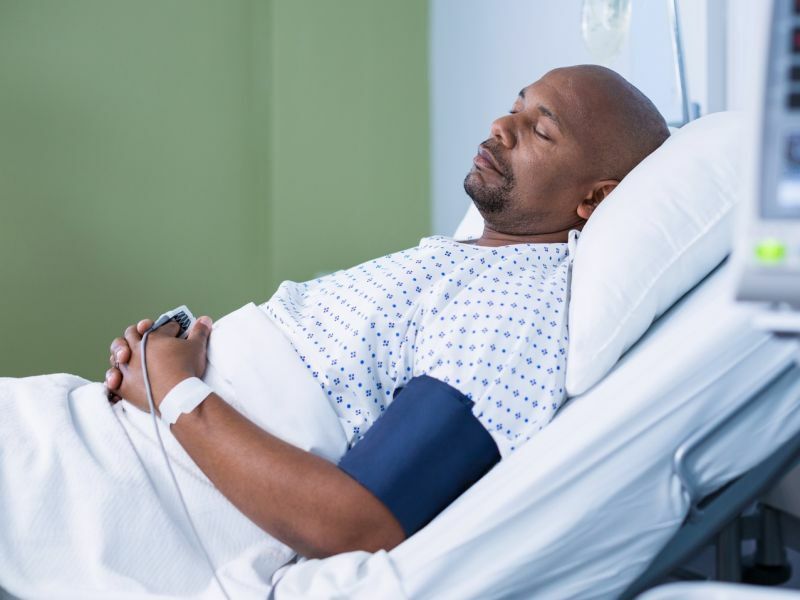 "When you decrease even one episode of vaso-occlusive [acute pain] crisis in a patient with sickle cell disease, that's five to seven days of hospitalization. That's many, many thousands of dollars." L-glutamine is a relatively common supplement used by bodybuilders and other athletes, but Minniti warned that sickle cell patients should not try to cut costs by buying the version available at health food centers. Endari "is medicine-grade L-glutamine, so it doesn't have all the variations of what you'd buy on the shelf," Minniti said. "Patients would be very disappointed in the effectiveness of the over-the-counter supplements." Emmaus Life Sciences paid for the clinical trial. The findings were reported in the July 19 issue of the New England Journal of Medicine.